O-Ku has quickly emerged as the top sushi destination in Charlotte. The food is excellent, service is on point and atmosphere is a sight to behold. 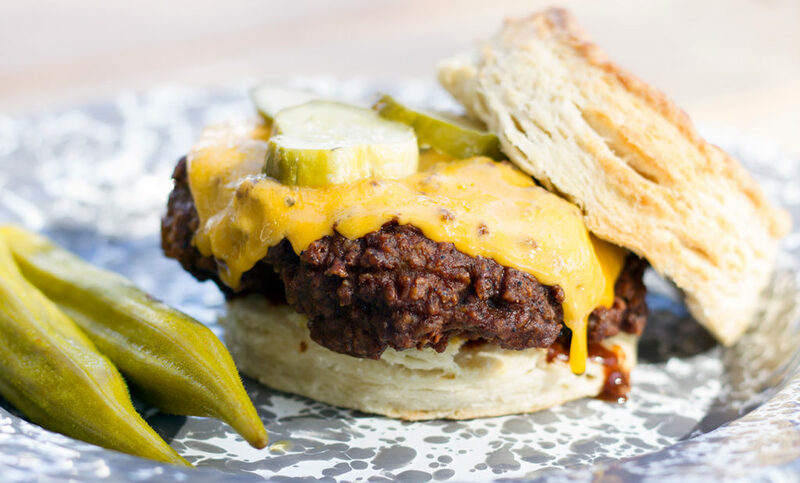 Now the restaurant’s parent company — The Indigo Road, which also runs Oak Steakhouse — is bringing a fast-casual version of that concept to Uptown. 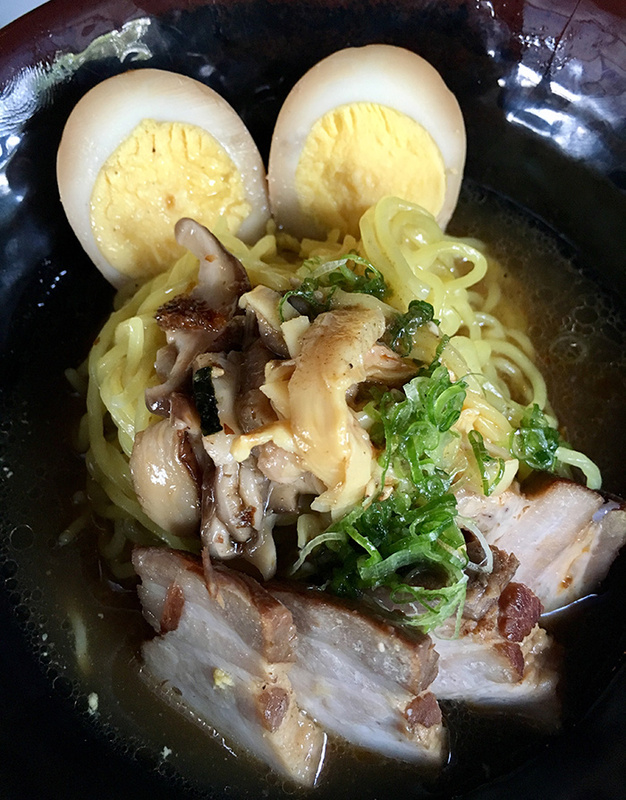 Called Sukoshi, this spot will be a grab-and-go style restaurant based on styles and flavors from O-Ku. 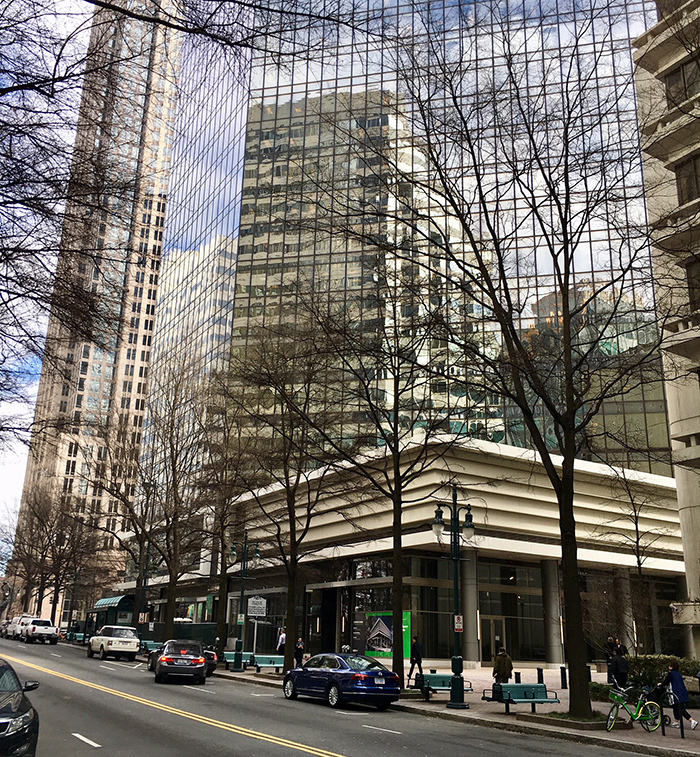 It’ll take nearly 2,000-square-feet of space fronting Tryon Street near Bank of America Plaza. This building will also be home to Eddie V’s, an American seafood and steaks restaurant chain and Devon Blakely, an urban market. 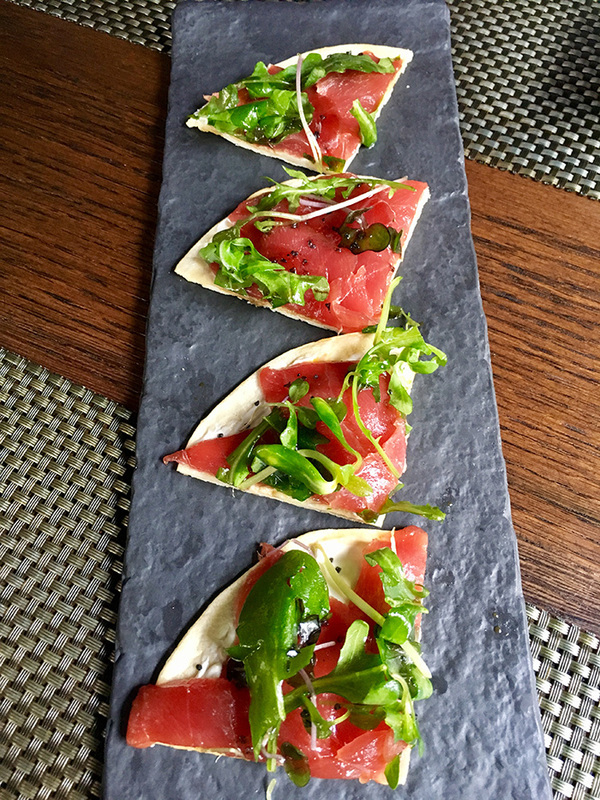 Tuna Tart from O-Ku – crispy flour, tuna sashimi, truffle creme, black salt, greens ($16). Delicious. Don’t expect your normal takeout sushi. They will be “celebrating little bites for big appetites” with specialty rolls, sashimi, nigiri, dim sum dumplings and more. 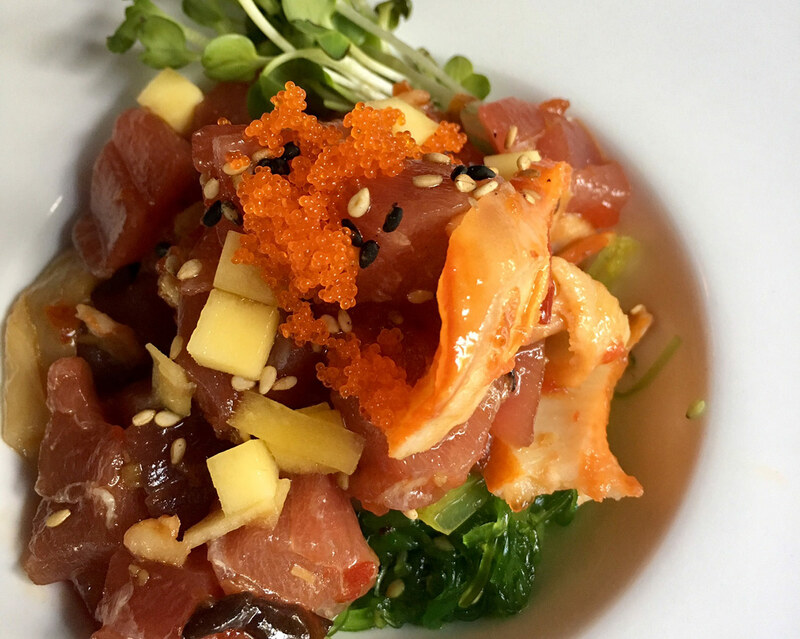 “With Sukoshi, we’re eager to expand outside of a traditional restaurant, and start something entirely new – and hopefully thrive into a phenomenon,” says Kimball Brienza, managing partner. Sukoshi will no doubt crush lunch hours with the business crowd and will have a custom app for easy mobile ordering. But they will also cater to a broader clientele. They will offer sake and craft beer, poke bowls and salads for the after-work crowd — a no-brainer for Uptown if you ask me. Sukoshi will be open 11 a.m. to 8 p.m. Monday through Friday, and noon to 6 p.m. Saturday and Sunday. Indigo Road has initiated the permitting process, so look for this to open in the spring.